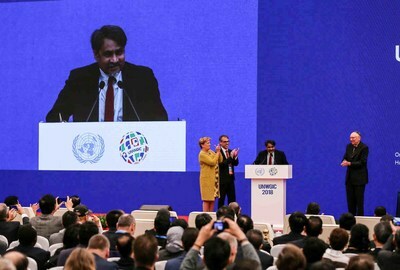 Sanjay Kumar, Founder and CEO of Geospatial Media & Communications, was conferred the ‘Global Geospatial Industry Ambassador’ Award by UN-GGIM (United Nations Global Geospatial Information Management) on November 19 at the United Nations World Geospatial Information Congress held at Deqing city in China. Dorine Burmanje, Co-Chair, UN-GGIM and Chair of the Executive Board of, Dutch Kadaster; Stefan Schweinfest, Director, United Nations Statistics Division; Sanjay Kumar, Founder and CEO, Geospatial Media & Communications and Jack Dangermond, Founder and President, Esri. Geospatial Media is an India-headquartered global geospatial industry think tank which provides information on the use of spatial technologies in governance, businesses and daily lives, and advocates on policy issues. 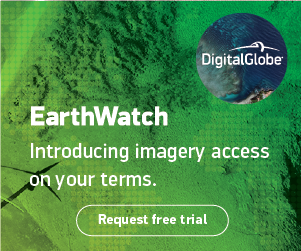 It facilitates collaborations among political, business and other stakeholders to demonstrate the value and benefits of the technology via conferences, research and consulting services, and runs the popular media platform Geospatial World. Kumar has been a geospatial evangelist for over 20 years, and in 2018 also helped found the World Geospatial Industry Council in association with top geospatial companies in the world. The UN award recognizes Kumar’s perseverance to create awareness about geospatial technologies, to connect communities and build networks. He received the award from Stefan Schweinfest, Director, United Nations Statistics Division, and Dorine Burmanje, Co-Chair, UN-GGIM and Chair of the Executive Board of Dutch Kadaster.